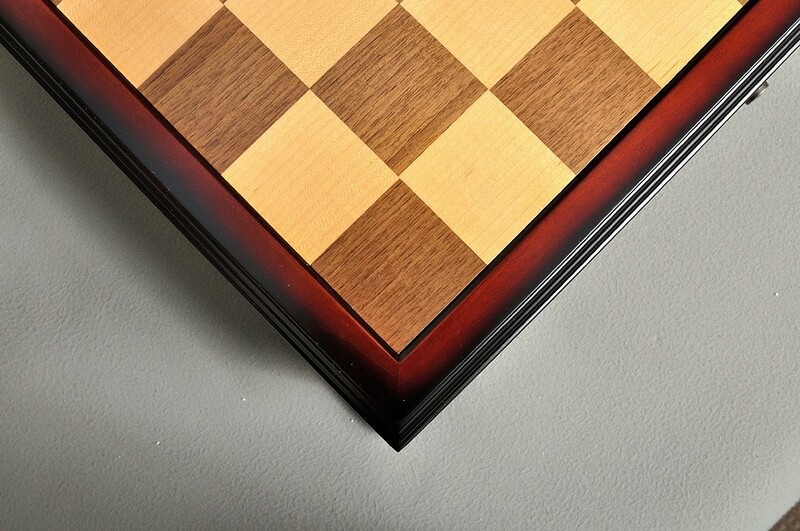 1.75" Squares with an overall size of 17.5" x 17.5" x 4.5". 2.25" Squares with an overall size of 22.5" x 22.5" x 4.5". 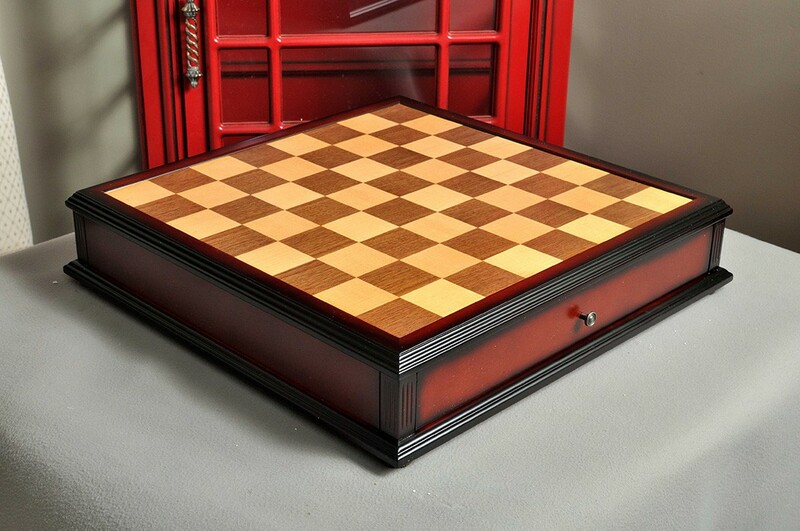 Unlike traditional Chessboards that require a separate box for piece storage, our Classical Tiroir Display Chessboard features two drawers with individual compartments for piece storage. 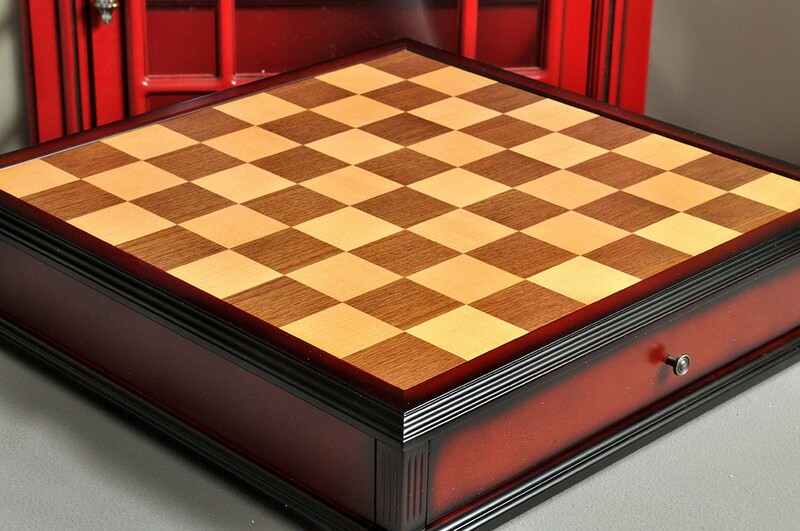 Each drawer will hold 34 Staunton Pattern Chessmen (up to 3.5" King Height) and has an additional compartment for holding draughts (checkers). The House of Staunton logo is silk screened on the h1 square. 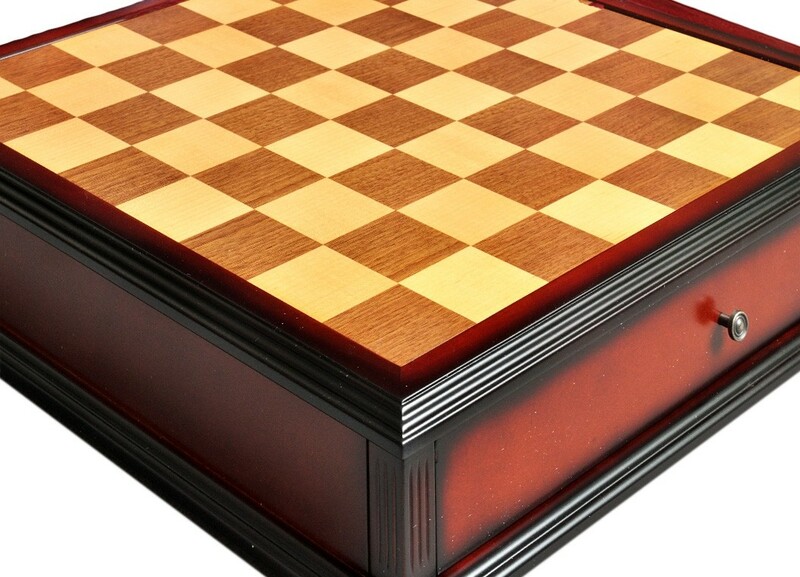 - King and Queens spaces measure at 6.0" x 2.75"
- Rook/Bishop/Knights spaces are 3.375" x 1.625"
- Pawn spaces are 2.75" x 1.5"
- King and Queens spaces measure at 4.75" x 1.75"
- Rook/Bishop/Knights spaces are 2.875" x 1.5"
- Pawn spaces are 2.25" x 1.265"